Level Playing Field offers professional Access Audits which are undertaken by NRAC (National Register of Access Consultants) auditors specialising in sporting venues and live match and event services. 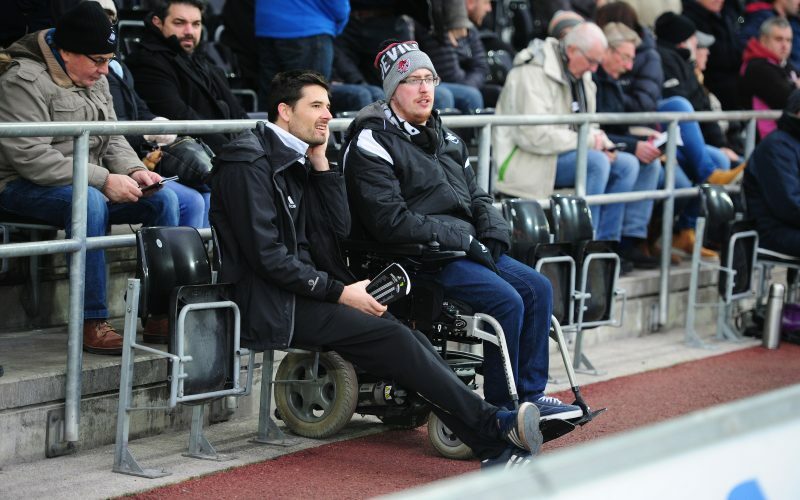 As a service provider, clubs have a legal requirement to be accessible to disabled people but there are ethical reasons to improve social inclusion and evidence shows that being accessible also makes good business sense. We offer a diverse training package for a range of different staff members at the club. From front line staff and volunteers to Disability Access Officers you will find everything you need here. Level Playing Field offers a mediation service for clubs, individuals and fan groups to help resolve issues involving disabled supporters. Level Playing Field offers expert advice and guidance to clubs, venues and design teams when looking to make stadium improvements and/or to build new sports venues. Day-to-day operations and projects are delivered by a small team of staff and consultants who collectively provide ongoing support to our members and stakeholders.